Have you ever needed a scan tool which does not only display data but also to give commands to the car to test its operating system? That is the moment when you really need a bi-directional diagnostic tool to troubleshoot your vehicle. But do you want bidirectional tests or engine control module? All you need is at hand, just figure out more in this 10 best picks review of those scan tools with bi-directional functions. 1 What is a Bi-directional Scan tool? 4.1 What is a bi-directional scan tool? 4.2 Differences between bi-directional vs normal scan tools? 4.3 How does bi-directional control work? 4.4 An affordable bi-directional scan tool? 4.5 Should I buy a bi-directional scan tool? What is a Bi-directional Scan tool? A bi-directional scan tool is a unique diagnostic tool that can both send and receive information. With bidirectional control, these devices can send information to and receive information from a vehicles control module. In other words, with these advanced tools, you can perform functional tests, actuator tests, inspection tests, system tests or work with reinitialization and reprogramming. Most enhanced scan tools have the ability to perform system tests. With normal OBD2 scanners, the scan tool initiates a request from the powertrain control module and it responds by sending information back to the scan tool. Now, you can do more than a class OBD2 scanner. The engineers who designed these bidirectional intelligent products designed them so that they are able to request information or command a specific function from your vehicle. If you are looking to significantly reduce your diagnostic time, this article should help you compare and contrast 10 different bi-directional scan tools on the market. Let me start by introducing 3 different bi-directional scan tools that will help you decide which product is right for you. Right now, the prices on the market can vary from $100- over $1000. Though whatever your price range, find your next bidirectional scan tool amongst this list of the top ten scan tools. First, the Ancel AD610 scan tool falls into the more budget friendly price range. This is one of the cheapest scan tool with bi-directional testing functions such as ABS motor test, SAS and actuator test. 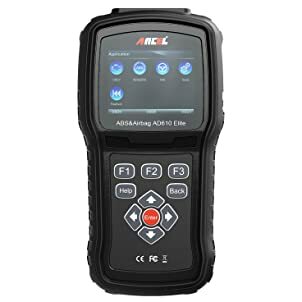 AThe ANCEL AD610 will help you to get an accurate read on your vehicle with manufacturer specific error codes because this device can detect your VIN number. Not only is it affordable, but it can outperform the basic functions of most OBD1 and OBD2 scanners. Moreover, the tool goes beyond with bi-directional testing. This device prides itself on the fact that it supports all 10 OBD2 test modules with enhanced OBD2 Mode 6 functions. That includes airbag warning indicator light, requests and records live vehicle data, provides live data graphing, can also merge graphs for intuitive diagnostic readings about multiple vehicle modules. You will be able to perform bidirectional tests, like actuator tests, ABS motor test, and SAS tests. This device covers a lot of different vehicles, covering over 62 global automotive brands. 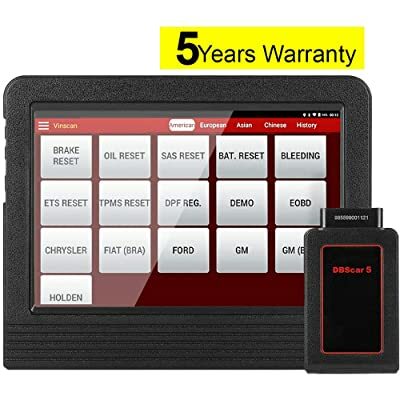 Additionally, this device covers most OBD1 and OBD2 cars, SUVs, minivans, light-duty trucks, including 2015/2016 models of vehicles, American cars 1996-2016, European cars 2001-2016, and Asian cars 2003-2016. This professional scanner took you to gain access to powerful OBD2 diagnosis as well as live data streaming from ABS and airbag control systems. However, the bidirectional obdii software runs on different specific models and systems. 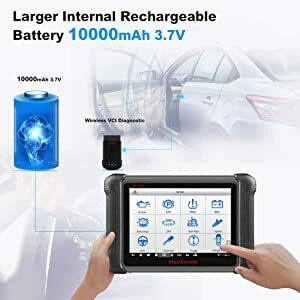 It is an easy to use tool with the added convenience that it doesn’t need an extra battery, this device charges directly from the OBD2 port in your vehicle. With the FOXWELL NT630 you can automatically detect the vehicle you are testing. In turn, you will have the comfort of knowing specific problems while reading diagnostic trouble codes and turning off manufacturing indicator lights (MIL). You won’t be short of functions with emission readiness, on screen DTC definitions, and accurate DTC library, to determine causes of check engine light and turn off MIL light. With NT630 elite, the check of electronic components such as switches, sensors, relays& actuators is made a simple task. This obd2 scanner can turn off ABS airbag warning light. Plus it supports ABS live data, SRS, ESP sensor data, and brake assist data. On top of that, the bi-directional diagnostic tests on anti-lock brake systems and airbags are easy-to-perform. The tests let you use the scan tool to temporarily activate or control a vehicle system. When you exit the test, the system returns to normal. 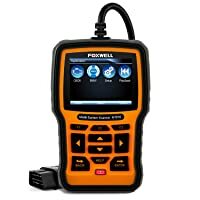 The FOXWELL NT630 is compatible with over 52 different models of vehicles. This bi-directional scan tool works on most 2000 and newer vehicle modules. However, it is not compatible with all vehicles for all functions. If it is not compatible with your car, you can contact Foxwell. You can read and clear codes on all OBD2 compliant cars, light duty trucks and SUVs sold worldwide. This particular device can be called a multi-application service tool due to its comprehensive diagnostic functions. All advanced features of more codes, functions, compatibility in a Bluetooth OBD2 scan tool. The NT650 diagnostic reader provides clear and accurate OBD2 reads for global OBD2/EOBD vehicles. This automotive scan tool supports anti-lock brake systems and air bags bi-directional diagnostic tests. 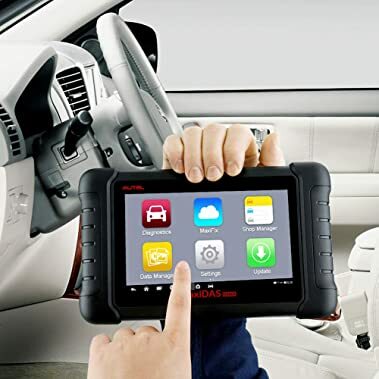 With a large 4.3 inch color display, as well as a clearly arranged keyboard display with menu shortcuts, this device is easy to use and will make car diagnostics simple again. The FOXWELL team also designed this device to resist damage and impact with a compact yet durable rubberized sleeve. 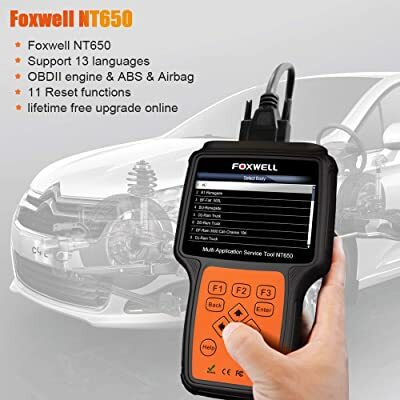 The professional scanner FOXWELL NT650 supports all 10 OBD2 test modes including the Mode 6 test. This one of the best cheap bi-directional scan tool for vehicle diagnostic testing. The services with this tool include, but aren’t limited to oil reset, ABS and SRS light reset, EPB reset, DPF regeneration. Moreover, it also supports SAS calibration, BRT, TPMS reset, EPS, and CTV. Additionally, you will be able to read and clear codes, turn off MILs, and something noteworthy is the ability to request and record live sensor data with powerful graphing capabilities. Not all functions are available for every vehicle model. However, this tool has ABS and SRS coverage for more than 58 car makes, oil reset for over 49 car makes, EPB for more than 42 makes, and the list goes on. Double check with the FOXWELL team before your purchase, and you will know if this device works with your vehicle. Let’s take a look at another ANCEL product. The Ancel FX6000 that performs bi-directional and active tests. Although this feature does not work for all car model, FX6000 automotive bi-directional troubleshooter is helpful in many functions. This particular diagnostic scan tool features advanced ECU coding and programing that other tools do not support. With an easy-to-use format, the user simply needs to plug this device into their OBD2 port without the additional weight of a battery or charger. An ANCEL FX6000 diagnostic scan tool is well built with a large HD screen loaded with thousands of DTC tips for diagnosing your vehicle. This bidirectional scan tool can diagnose both gasoline and diesel engines. 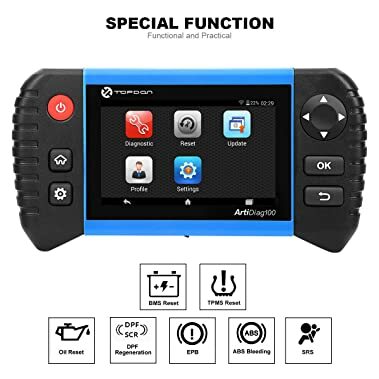 Some functions work with this professional scanner include transmission, ABS/SRS (airbag), EPB, Oil service reset, SAS steering angle service, TPMS and IMMO. 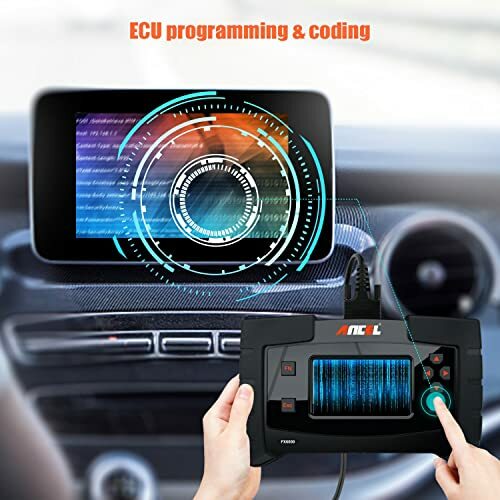 With this device you can read and clear error codes, view live data streaming and work with ECU coding and programming. Although this bidirectional tool can perform many functions, not all features work for all vehicles. FX6000 can do the bidirectional and active test (Not for all car models). It’s important to note if this scan tool functions with your vehicle. For most 1992-2017 American made models including Chrysler, Ford, GM, Dodge and Chevrolet you can expect a perfect pairing. Additionally, for Asian Car models from 1993-2017 like Acura, Honda, Nissan, Toyota, Suzuki and many more. As well as European cars made in 1992-2017 such as VW, Audi, BMW, Jaguar, Mercedez and others. However, keep in mind that not all functions are compatible with all vehicles. TOPDON is an upcoming brand in the automotive industry which are dedicated to the innovation of products. This car scanner should be very useful for bi-directional tests to check the Anti-lock brake system operating conditions. You can easily have accurate and professional diagnosis readings on a specific system to help turn off your vehicles warning light. The TOPDON ArtiDiag100 is an auto scanner that is well equipped for professional diagnostic functions with Wi-Fi connection for the convenience of use. With an easy to use interface, this auto scanner provides a demonstration for first-time users. 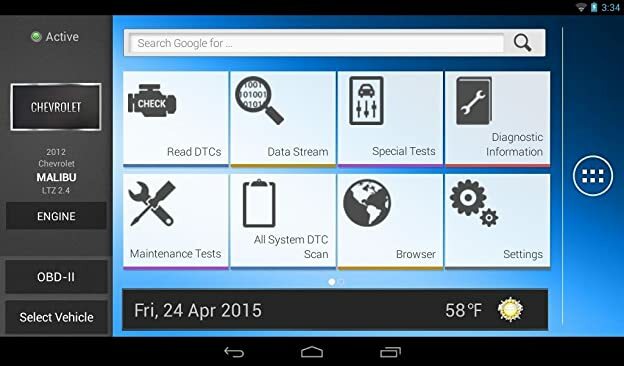 This diagnostic tool has an Android bases system and offers a 12-month worry-free warranty plan. You will also have access to one year of free updates online with TOPDON diagnostics. TOPDON auto scanner enables you to perform more advanced car diagnoses. Some special functions that are included with this device are reset services and adaption capabilities. TOPDON bidirectional auto scanner supports EPB reset, SAS reset, oil rest, DPF regeneration, and BMS reset. Additionally, you’ll have more features such as IMMO, Injector codings, and ABS bleeding so you can perform more advanced diagnosis. This device is capable of reading and clearing codes from FULL systems and displaying the live sensor data so you can see everything happening in your vehicle. Since this device is a bidirectional scan tool, you will also have the ability to perform bi-directional tests to check the operating conditions of ABS on your car. You can also check voltage, resistance, ABS Bleeding and more from the sensor in this bidirectional auto scanner. TOPDON ArtiDiag100 auto scanner covers a wide amount of vehicles for complete system diagnostics. 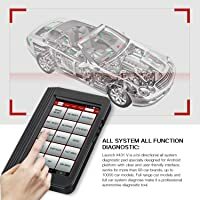 You can rely on this auto scanner to give clear and accurate diagnostics on 42 car brands and over 200 different car models from America, Asia, and Europe. The Autel Maxidas DS808 is the upgraded version of the DS708. Therefore, this device contains advanced diagnosis readings and analysis. This is one of the Autel bi-directional scan tool which performs mutual ABS/SRS tests. This device is loaded with complete capabilities for reading and clearing error codes, gathering live data diagnostics, performing active tests, and more. This bidirectional obd2 scanner device allows you access to the ECU controls for a multitude of vehicle control systems. You can access transmission, anti-lock brake systems, airbag systems and more. With Bluetooth technology, it can help take the weight off your back when messing with cords. However, this is not exactly a light and compact device. At 17.84lbs you can maybe understand you are getting the weight for what you pay. Included with your purchase is one-year of free online updates and a full guarantee. The DS808 includes the most commonly performed OBD2 scanner functions plus increased powerful functions. You will be guaranteed Oil reset service, TPMS Programming service, EPB Service, DPF Regeneration, SAS Calibration, and ABS/SRS Service, plus more. The Autel DS808 includes access to manufacturer specific code reads with Smart AutoVIN technology, as well as Cloud0based MaxiFix and other management functions. These additional features are the clear reason this new device outshines the old DS706 model. For most makes and models of vehicles, this device will work for you. With an expansive coverage of vehicles, the DS88 is adaptable to more than 80 different US, Asian and European made vehicles from 1996 to 2017. For cars with electronic systems, this device may not work to give correct system diagnostics. Launch technologies are well known for their supreme diagnostic scanners. The X431 pro is one of the series supports bi-directional control and Actuation Test. Not only the bi-directional tests but also a real control of the system with two-way communication with your vehicle. The new design includes a large tablet-sized 8 inch touchscreen with an extensive battery life. The LAUNCH X431 V is a bidirectional scan tool that is compatible with full system diagnostics with powerful special features and functions. You don’t have to worry about damaging this auto scanner in the workshop thanks to dropping- test and waterproof design. With a 3 year warranty, you will have time to discover how this diagnostic auto scanner can perform a full detection test while reading and clearing DTCs with full data streaming from all systems. If you are not satisfied with your purchase, the 3-year warranty gives you some room to rethink your decision. For the best detection, this device allows you to get a live data stream from all the systems in your vehicle. That includes transmission, brake system, emission system, fuel system, light system, wiper system and more. Moreso, you will have access to the necessary OBD2 scanner basic functions like SRS, ABS Bleeding, Battery and Brake reset, the list goes on. With a multilingual design, you are not limited by any language barrier with this product. The X431 V can diagnose the system of an extensive coverage of models. 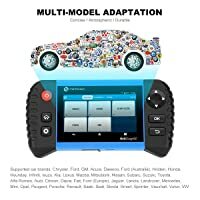 Whether your car is Asian, European, or American made this device covers over 94 car brands and up to 10,000 car models. Just move forward to another superior Launch scan tool for full system bi-directional diagnosis. That is an upgraded version of x431 V and Pro, the LAUNCH OBD2 Full System Bi-Directional Diagnostic Scanner. TheLAUNCH OBD2 is a bi-directional scan tool with powerful bidirectional control which can request or command information from your vehicle. Some tests this device can perform are turning the fuel pump on and off, cycling the a/c clutch on and off, and even helping with an emissions leak test. With professional-level diagnostics, this device provides a complete system of diagnosis for users to detect potential problems. Another plus to this advanced, innovative tool, is the access to Bluetooth connection and HD compatibility. You no longer have to connect your vehicle with a cable, instead, you can carry out specific repairs from the workbench. Along with various special reset functions such as oil reset, SAS, EPD, BMS, TPMS reset, this device can also help users safely get access to the ECUs on their vehicles. This device can go above and beyond an average OBD2 auto scanner, with bi-directional technology, not only can it diagnosis a problem, but it can also take measures to begin the repair. The LAUNCH X431V+ comes with an array of adapters that have the ability to cover 90% of car models. The main brands of cars are covered with this advanced bidirectional device. If your not sure your device is covered, check with the launch team before purchase. In order to find out if your car is compatible, turn the device on and from the large screen you can pick your exact make and model. With SmartVIN technology you’ll get an instant read on your vehicles diagnosis. The new Autel Maxisys MS906BT is a superior version of the earlier MS906 auto scanner. Autel bi-directional scan tool provides specific subsystem and component tests. This selection may appear as Actuators, Actuator Test, or Function Tests, etc., and the tests options vary depending on the manufacturer and model. This newer device is more advanced with functions to help support distant Bluetooth transmission as well as digital inspection camera add-ons. The MS906BT is smaller than the 906, for a more convenient carrying option, however, not all things are smaller. The battery life of this new device is almost twice as long. This advanced tool comes with handsfree connection Wifi access. You won’t have to worry about any cords, including a charger because this tool is equipped with a rechargeable lithium battery for 14 hours of operation. Use this tool like a tablet with an Android operating system, USB port, as well as audio and auxiliary ports for connectivity. Experience comprehensive and OE-Level OBD2 diagnostics, ECU coding, Live data streaming, Active testing and Smart AutoVIN technology for identifying vehicle easily. Autel MS906BT supports oscilloscope and digital inspection camera add-ons. This diagnostic scanner has competed for system coverage for more than 80 models from Us, Asia, and Europe. With Android capabilities, the MS906BT has some of the best possible of OE-level diagnostics and ECU coding capabilities. As well as having an 8-inch HD touchscreen display, this device also includes long-distance wireless communication. This scanner with bidirectional control provides effective and efficient diagnostic information with a 12-month warranty. Autel has 24-hour support and offers a global call serve to promote efficiency for any troubleshooting problem that may occur. 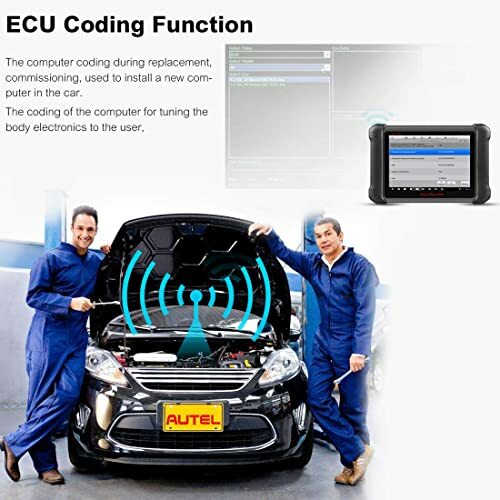 For specific details about vehicle models supported with this device you can visit the Autel official website. The vehicles covered with the Autel Maxisys MS906BT is extensive and includes VW, Subaru, Suzuki, Toyota, Scion. Skoda, Jaguar, Acura, and most other vehicle brands. This bidirectional scan tool stands far above the rest by including everything you need to be an expert technician in a compact kit. For the price you’re paying, you want to have the tools of an expert technician in your hands. The kit comes with the Encore tool. OBD2 cable, USB cable, power adapter, and a carrying case. 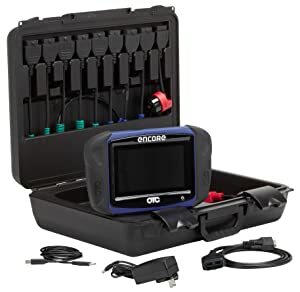 The OTC 3893 is a deluxe kit which includes all the powerful and professional diagnostic gadgets that will replace all your old auto scanners. The core of this tool is integrated for Android services, which uses high speed operating systems to make this tool easy to use and function. This toolkit is still a high powered OTC diagnostic tools with a strong foundation, but now with additional features and programs. This auto scanner is a well-equipped technician in a tablet. 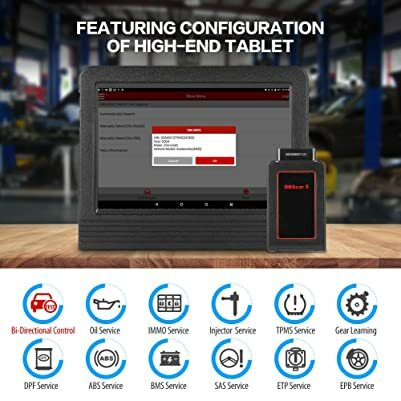 With built-in Bluetooth and Wifi, you are capable of searching for a vehicle and reading the DTCs with one click from anywhere in the workshop. This is the first tool that has embedded programs available during every repair, such as code assist and Repair-Trac. The OTC Encore is one of the most advanced scan tools with bidirectional control and OBD2 functions for a wide variety of cars. Wifi and Bluetooth connections for fast connection and handsfree help to communicate with other devices. The OTC Encore includes multi-language support and updateable options that outshine the competition. When you look at this device compared to the others, it has all the features necessary. That is including TPMS, AutoDetect Repair, AutoID, Training videos, and more. With bidirectional technology you’ll be able to perform full DTC system tests, automated system tests, and maintenance tests. OTC 3893 is a professional tool kit for auto repair shop. With advanced levels of compatibility, this product once again stands alone. While most products only have vehicle coverage from 1992 and up, this bidirectional scan tool has domestic coverage from models 1980-present. Domestic cars are not the only vehicles covered, this tool also includes Asian and European models from 1987-current day. This device outshines all other products in terms of vehicle coverage. With more advanced settings than normal OBD2 scanners, bidirectional scan tools are able to send and receive information from your vehicles on-board database. In simple terms, with bidirectional control you are able to perform tests and solve problems happening within your vehicles diagnosis system. Differences between bi-directional vs normal scan tools? Normally, a diagnostic scan tool read and clear trouble codes on your vehicle. That’s why you can see data parameters when you connect an OBD scan tool to your car. Bidirectional scan tool features with bidirectional control function to command particular operations on the vehicle. Take a look at the comparison chart above to find out the available functions for each bidirectional tool. The main differences among those bidirectional scanners lie within the price, test functions available for each vehicle and the compatibility for each car. How does bi-directional control work? Bidirectional control allows the technician to use these autoscan tools to send and receive information from a vehicle. For example, instead of simply reading a DTC error code, with bidirectional control you have the ability to test different systems or open and close valves within the vehicle to solve the issue inside. An affordable bi-directional scan tool? With this review, I have listed the different bidirectional scan tools from lowest to highest price. 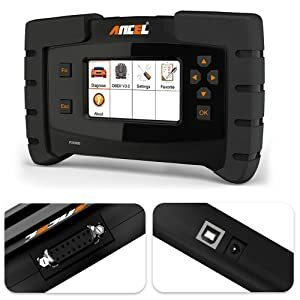 The best cheap for bi-directional testing tool on the list is the ANCEL AD610 Elite Automotive OBD II. If you’re looking to keep your budget below $200, this scan tool may be the one you are looking for. Ancel AD610, Foxwell Nt630 or NT650 are affordable bi-directional diagnostic tools. However, if you are looking for more advanced features, I would suggest taking another look at the comparison chart to find your dream tool. Should I buy a bi-directional scan tool? 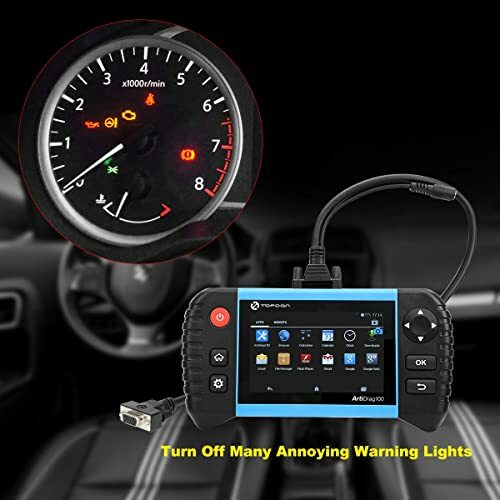 If you work at an auto repair shop, you might need all this advanced function to see the vehicle’s messages and give commands to the onboard computer to take actions on the vehicles. If you are a DIYer and you want some technology that really changes the mechanic business, you want this bi-directional control tool too. Or simply, if you want something that mutually works for your car, you’ve chosen the right scanner. 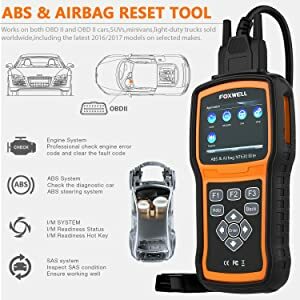 Bonus: 10 Best Professional OBD2 Scanners Review and Comparison 2019. Hello, do any of these bi-directional devises present data in a graphical ans/or a waveform in real time? Yes, you can try the Launch bidirectional tools which have real-time graphing of live data. What KIND of commands, specifically, can you send, and what types of responses, specifically, can a directional scanner perform? How can we know, before we buy, WHICH bidirectional commands are possible with each scanner, and with each vehicle? If you read this review, you can see I presented the bidirectional functionality of each product. 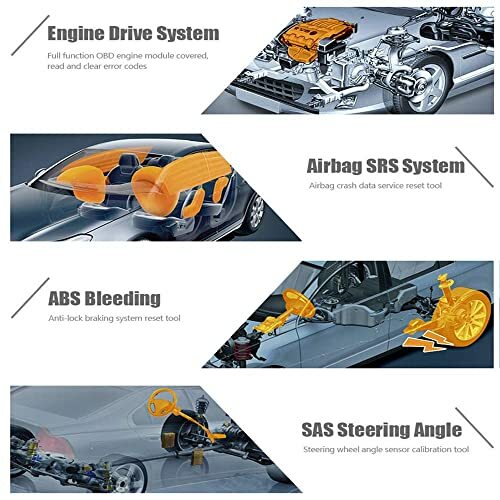 From top-down, simplest to most advanced scanners, some can only perform bidirectional test for SRS/airbag, ABS motor test, SAS or actuator test. The later ones support full DTC system tests, automated system tests, and maintenance tests. You can also check compatibility for vehicle make and models, which I made it briefly. Please consider this again before purchase. I will like to have your advise on the purchase and functionality of these two products. I’m considering these for bidirectional abilities, key programing, ecu reading and writing etc… and also if tokens are bought for operation. If you considering bidirectional abilities, key programming, support ECU coding and Auto VIN Tech, Launch X431 pro is the best choice. Xtool X100 pad2 pro is less functionality in compared to your need. X431 V+ for most japanese cars, bidirectional & Ecu coding. Wich scanner is better then?? For programming, diagnosis system and reset?? As long as all advanced functions work on your vehicles then it’s worth. ANCEL FX2000: More powerful and functional scanner! Error code P0420: What does it mean & What to do? Understanding TPMS: How it works? What to do when TPMS light comes on? Smog Test: Why and How to Pass the Emission Test? © 2019 OBD Station All Rights Reserved.